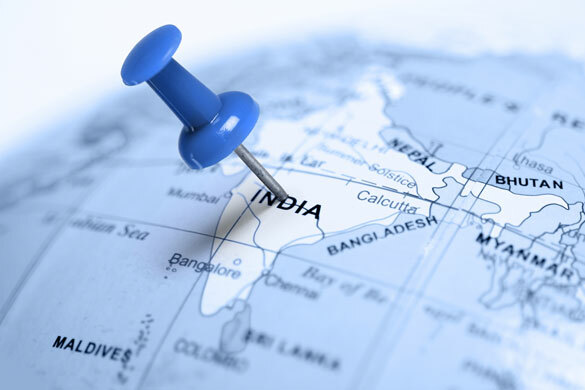 Home | Company News | This Morning in Metals: A JSW-JFE Partnership in India? This Morning in Metals: A JSW-JFE Partnership in India? This morning in metals news, Indian steel company JSW Steel Ltd. could partner with a Japanese firm to acquire distressed Indian companies, steel import permit applications fell 12.3% in the U.S. last month and Chinese aluminum capacity cuts are sending prices up. A deal might be in the works between Indian and Japanese companies. Bloomberg reported Sajjan Jindal and his JSW Steel Ltd. would be open to investment from the Japanese firm JFE Holdings Inc., per JSW Joint Managing Director Seshagiri Rao. According to the report, JSW is looking to acquire distressed companies in India. With plants in southern and western India, JSW is looking to expand into the eastern half of the country. According to the Commerce Department’s most recent Steel Import Monitoring and Analysis (SIMA) data, steel import permit applications fell 12.3% in July compared with the previous month. According to a release from the American Iron and Steel Institute (AISI), in July the largest finished steel import permit applications for offshore countries were for: South Korea (333,000 net tons, down 14% from June preliminary), Turkey (211,000 net tons, down 36%), Japan (149,000 net tons, up 20%), Germany (144,000 net tons, up 24%) and Taiwan (136,000 net tons, down 17%). Through the first seven months of 2017, the largest offshore suppliers were South Korea (2,261,000 net tons, down 5% from the same period in 2016), Turkey (1,681,000 net tons, up 11%) and Japan (935,000 net tons, down 12%). The longevity of the positive effects of China’s capacity cuts has been debated here and elsewhere. In some cases, capacity cuts have simply given way to new capacity elsewhere, effectively negating the initial cuts’ support of aluminum prices. For now, however, the most recent round of aluminum capacity cuts in China has been good news for the metal’s price, which has risen in recent days. According to Reuters, shares of Aluminium Corp of China rose 47 percent since the start of July. Shares in Shenzhen-listed Yunnan Aluminium rose even more, by a whopping 55 percent.